It seemed that IO Interactive was on a roll, after having delivered one of last year’s top video games. This was none other than Hitman, the latest instalment of the long-running stealth and action video game series. And the game was surely well-received by fans and the gaming press, making many top game of the year lists in 2016. Of course, the game was still reviled by some due to its episodic release model, which left us waiting for months in order to find out how things would end in Hitman’s first season, which was released on disc early this year. And it seems that going the episodic route likely hurt sales of this latest Hitman game too, as publisher Square Enix recently announced that it is dumping Hitman developer IO Interactive. This is even more surprising taking into account that this has been a record year when it comes to sales for the Japanese publisher according to GameSpot. Nonetheless, Square Enix announced in a note to investors that “to maximize player satisfaction as well as market potential going forward, we are focusing our resources and energies on key franchises and studios. As a result, the Company has regrettably decided to withdraw from the business of IO INTERACTIVE A/S, a wholly‐owned subsidiary and a Danish corporation, as of March 31, 2017”. The Japanese publisher also added that it had “started discussions with potential new investors and is currently in negotiations to secure this investment. Whilst there can be no guarantees that the negotiations will be concluded successfully, they are being explored since this is in the best interests of our shareholders, the studio and the industry as a whole”. If we analyze the wording it’s clear that things are looking dire for the Danish publisher, as it’s obvious that it will be shut down if Square Enix cannot find a suitable buyer. And clearly this does not bode well for the future seasons of Hitman that IO Interactive had in the pipeline either. 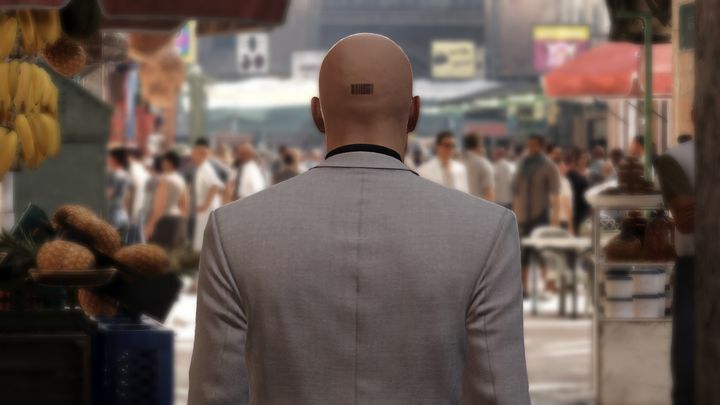 This is because the Hitman property might very well be sold separately to another party, meaning the studio would have to come up with a new game concept if it does remain afloat. It is also clear that things have not been going quite so well for Square Enix when it comes to its top franchises either. Actually, not only Hitman likely underperformed, but the latest Tomb Raider game did not do so well partly due to its Xbox One exclusivity. And last year’s Deus Ex: Mankind Divided was such a flop that it may have killed off the Deus Ex franchise for good. But although Square Enix must have its reasons for wanting to do away with the Hitman developer, it’s sad to see the company behind releases like Freedom Fighters, the Kane & Lynch games and the great Hitman series now be at risk of being shut down. Because the Hitman series has been one of the biggest in gaming, even if more recent games like Hitman: Absolution failed to set the world alight. So here’s hoping Square Enix does indeed find a buyer for IO, and that the Danish company can keep delivering more good Hitman games in the future.